Promote research in interpreting studies. Students shall attend all their courses on a regular basis. Candidates will be expected to write a dissertation in any area or aspect of interpreting. Graduates of this programme shall be professional interpreters likely to work for the public and private sectors, national and international market, in diplomacy and international relations. Self-employment and consultancy services are also considered. Conference organisation. Candidates for the M.A. in Interpretation shall be admitted through a competitive entrance examination. They must be holders of a bachelor’s degree in any field. 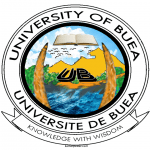 ASTI University of Buea. Tuition comprises course work and the presentation of a dissertation. Teaching shall be through lectures, tutorials and practicals. 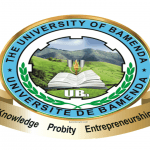 Evaluation shall be through continuous assessment, end-of-semester examinations and the dissertation. Throughout the course, students shall be called up to present research papers in some of the core courses. In order to qualify for the award of the Master of Arts in Interpretation, candidates must have earned a minimum of 120 credits, including course work and dissertation. The candidate must complete the course in a minimum of two (02) years and a maximum of four (04).